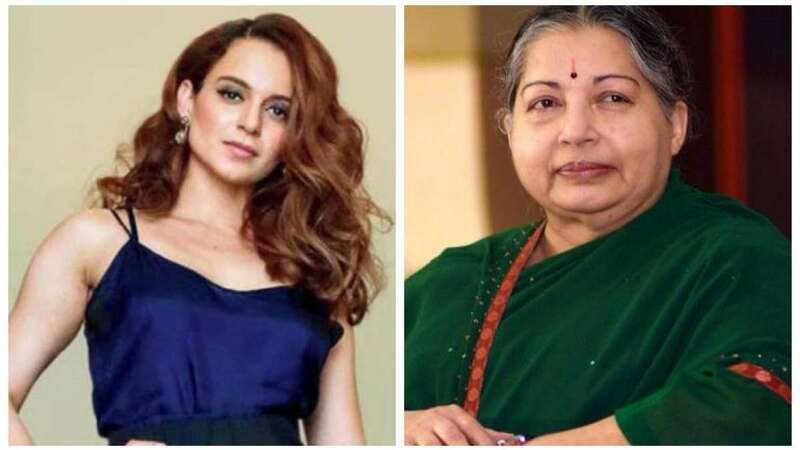 New Delhi : After the grand success of Manikarnika, Kangana Ranaut is all set to play the character of J Jayalalithaa in the biopic 'Thalaivi'. The Queen of Jhansi as an actor has announced that she'd star in iconic role under the directorial supervision of AL Vijay. The forthcoming film Thalaivi will indeed give a massive opportunity to a Bollywood actress, who is not fluent in Tamil. Sources confirmed that Thalaivi will be made in three languages (Tamil, Telugu and Hindi), Kangana Ranaut's inclusion will ensure that the film gets a wider reach across the country. Big news is that Kangana Ranaut turns 32 today and on her birthday the makers decided to announce the news. Composer GV Prakash, who will be scoring the tunes for Thalaivi, took to Twitter to reveal the news. His tweet read, "After #gangsofwasseypur this will be my venture back into Hindi .. #GV72 #KanganaRanaut will play the lead role in #Thalaivi, the #Jayalalithaabiopic produced by @vibri_media @vishinduri and directed by #Vijay #Vijayendraprasad #NiravShah @gvprakash #HBDKanganaRanaut (sic)"
Director Vijay, in a statement, said, "The stature of this tall leader and courage inspired me to say yes as soon as I was offered this opportunity. I feel very responsible and decided to work very hard and relentlessly to deliver an honest biopic. Nothing can be as perfect as this occasion to reveal the title Thalaivi, which I believe is the greatest celebration." To avoid any controversy in near future, the makers have also obtained a NOC (No Objection Certificate) from Mr Deepak, the nephew of J Jayalalithaa. The research work has been on for the past 9 months and the film is expected to go on floors in the coming months. Nirav Shah and Madhan Karky have been signed on as the cinematographer and lyricist for the Thalaivi. Baahubali and Manikarnika writer Vijayendra Prasad (father of SS Rajamouli) will monitor the team. Happy Birthday and Good luck Kangana Ranaut!